Houstons 1st and Finest Rangers Supporters Club! Q: Is there an email list or group related to the Texas True Blues? A: Yes, it is hosted by Yahoo! groups - click here for more information. Q: How much does it cost to watch a game? 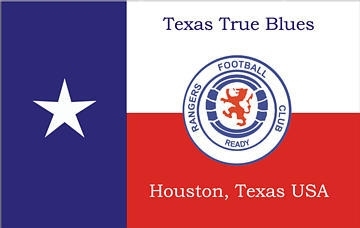 A: If you are going to be taking in most of the games, it works out best for you to become a member of the Texas True Blues - it costs $100 to join, then $35 per month after that. A cover charge for $15 per game applies to non-members. Q: Where does the club watch the games? A: At Big Johns Bar, located at the intersection of Wilcrest & Harwin in Houston, TX.